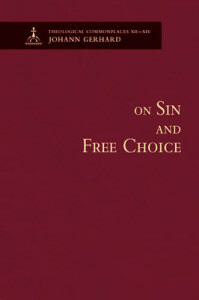 Includes the commonplaces On Original Sin, On Actual Sins, and On Free Choice. This volume is notable in opposing “decision theology,” in which one’s conversion and salvation depend ultimately on human choice. This volume is notable for its comprehensive moral theology, structured upon the Ten Commandments and the double law of love. The volume consists of two commonplaces: On the Law of God and On Ceremonial and Forensic Laws. The volume consists of two commonplaces: On the Gospel and On Repentance. It also discusses Holy Absolution, the forgiveness of sins imparted through the word of forgiveness. Gerhard sets forth guidelines for properly interpreting Scripture (hermeneutics). 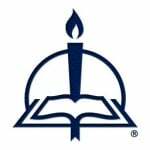 The Method of Theological Study expands on those guidelines and gives advice to seminary students on how best to study theology and prepare for service to the church. Volumes are released every year in the late summer or early fall. Subscribe and save at www.cph.org/gerhard. Become a subscriber to Theological Commonplaces and each new volume of Gerhard’s monumental series will be shipped to you automatically. Currently, volumes are priced at $59.99, but as a subscriber you will pay only $41.99, a 30% savings. Your subscription starts with the newest volume and you will continue to receive each new volume. As an added bonus, new subscribers can purchase previously released volumes at the same 30% savings.